An Australian street artist finds the perfect response after he’s hit with a governmental notice over his scathing image of a scantily clad and cash-laden Hillary Clinton, while on the other side of the globe, the artist behind a similar image of The Donald in Old Blighty finds his own response to similar criticism. Warning: You can’t unseen this footage! An Australian street artist has made headlines with his portrait of Hillary Clinton. He painted a wall in Melbourne with an image of the U.S. democratic presidential candidate wearing a rather skimpy swimsuit. 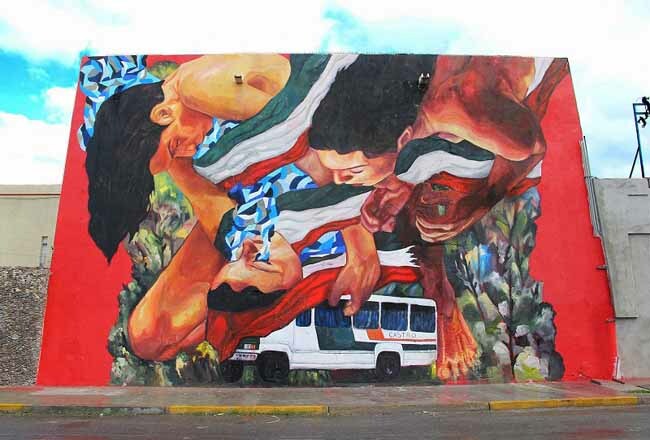 However, the city complained that the mural violates gender equality principles. So, to avoid legal action, the artist painted a niqab over Hillary. Finally, the artist posted a photo of the wall online, after it had been painted completely black, with the caption “Looks like the council wins.” RT caught up with the artist. The UN Comittee Against the Forced Disappearances released the review and recomendations to mexican government, expressing great concern over how mexican authorities document and investigate crimes. Clayton Conn reports. A woman with U.S. citizenship is facing up to 1,000 years in a Mexican prison over allegations she kidnapped dozens of people. Nestora Salgado has been imprisoned in Mexico for 18 months after authorities accused her of kidnapping several people in the state of Guerrero, but the resident of Washington state who is also indigenous to Mexico contends she had arrested criminals and a corrupt official based on a law that allows indigenous people to form a police force. Avila says the charges against his wife are politically motivated and meant as a message. The government proposes removing the requirement to disclose contracts, permits, alliances and partnerships that the State signed with national and foreign companies. The government of Mexican President Enrique Peña Nieto has proposed changing a key transparency law that would allow the state to keep key information secret over controversial energy reform plans. According to a document presented before the Congress by the ruling party PRI and its ally the Ecological Green Party of Mexico (PVEM), there would be 82 changes to the Federal Law of Transparency and Access to Public Government Information. The recommendations made by the legal adviser to the Presidency of the Republic propose removing the requirement to disclose contracts, permits, alliances and partnerships that the State signed with national and foreign companies on oil exploration. The attorney general closed the case earlier this week saying all angles have been exhausted, but rights groups and experts disagree. The National Commission on Human Rights (CNDH) rejected a move made by Mexico’s attorney general earlier this week that declared the case of the 43 disappeared students from Ayotzinapa closed, claiming the students were all dead. The CNDH said Thursday that the case cannot be closed. “The case is still open. We have to wait to see what the judges say, the Inter-American Commission on Human Rights, the results from tests sent to experts abroad. It should not be closed, you cannot speak of a conclusion and for the CNDH it remains open,” said President of the CNDH Luis Raul Gonzalez Perez. Earlier this week, Attorney General Murillo Karam corroborated the government’s official version of the events on Sept. 26, when 43 students from a teaching school in Ayotzinapa in the state of Guerrero went missing. According to Murillo Karam, the students were kidnapped and handed over to a local drug gang, and were later killed, burned and disposed of at a dump in Cocula and in a nearby river. Protests over the disappearance of 43 missing students raged across Mexico and the United States over the weekend. Activists blamed a government they say has ties to organized crime and called for people in Mexico and the U.S. to support a Mexico-wide strike on Thursday. Coinciding with the Nov. 20 strike, protest marches will be held in Mexico City, as well as dozens of cities across the U.S. including New York City and Los Angeles. “We want to warn that these acts of protest will not be silenced while the civil and human rights of our Mexican brothers continue to be violated and trampled on by a government that has colluded with organized crime and to those who blamed the crimes committed by the state on [cartels] — thereby evading their own responsibility in the state sponsored genocide that has been committed with total impunity,” #YoSoy123NY, the New York chapter of a Mexican social movement that opposes Mexico’s current government, said in a statement handed out at a protest in New York City on Sunday. This past weekend, several demonstrations were held throughout Mexico to demand that the 43 missing students from Ayotzinapa be returned alive. Plans for major demonstrations on November 20 are already underway and include 3 separate marches in Mexico City that will converge in the city’s central square and the possible seizure of the Mexico City International Airport. 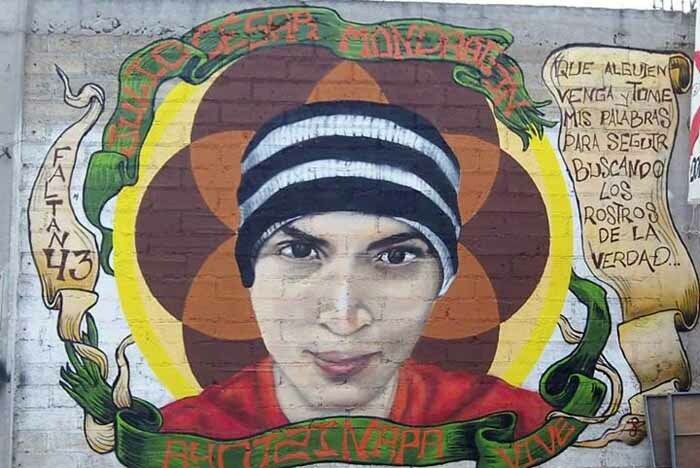 On the day that pipe-wielding rioters set fire to a government accounting office and ransacked the state congress building, Felipe de la Cruz stepped to the microphone in the floodlit plaza of his missing son’s school. The protests about his son and dozens of others abducted by police had been building for weeks. The next morning, caravans of buses would drive out of these wooded hills to spread their defiant message to far corners of Mexico, as protesters in different states blocked highways, seized town squares, closed airports, and burned cars and buildings. Ordinary Mexicans have taken to the streets, condemning the crimes committed against the students and the apparent collusion between criminals and the political class in parts of the country. The bishops lent their support to peaceful demonstrations, which often have been led by students, and called for a day of prayer on December 12, when millions of Mexicans celebrate the feast day of Our Lady of Guadalupe. Gang and government lawlessness plague Mexico. On Sept. 26, a violent gang and a criminal government combined to massacre 43 students near the Guerrero state town of Iguala. A perceived attitude of elite indifference by Guerrero state and federal government officials has fanned national outrage. Now, Mexican President Enrique Peña Nieto faces an expanding crisis of confidence in government institutions. There are two reasons the crisis could damage Pena’s ability to govern. Reason No. 1: Atrocities far less hideous and institutionally debilitating than the Iguala massacre have sparked mass revolt. This column’s first sentence sketches reason No. 2: Mexican government corruption facilitates organized crime. Organized crime enriches a corrupt political class. Cartel gunmen and crooked cops on the streets, cartel comandantes and corrupt politicos through institutions ensnare the Mexican people. The mass kidnappings and killings of college students in Mexico is fueling protests that have spilled over to this side of the border. Mexican officials have confirmed the students’ remains were found. But the officials’ response is fueling more demonstrations this week, including here in San Diego. Here at home, more than 200 students at University of California San Diego showed their support at a candlelight vigil. “This is something that spans time and space, students being persecuted for their beliefs, for their politics,” said Mariko Kuga, a fourth-year UCSD student. Chanting filled the streets as a procession made its way around the corner of Brooklyn Avenue Northeast and Northeast Campus Parkway on Friday afternoon. With determined faces, students marched toward Red Square, holding signs and posters calling for justice in Mexico. These students, most involved with the social justice organization Movimiento Estudiantil Chican@ de Aztlán (MEChA), were protesting against the corruption of the Mexican government and raising awareness about the recent massacre of 43 students near the small town of Ayotzinapa, Mexico. A rally was held at the Mexican Consulate in Salt Lake City over the weekend. The rally was held to draw attention to 43 missing students in Mexico. Those at the rally say they believe the Mexican government is somehow benefiting financially from the missing students. They also claim the students were taken to police and then handed over to gangs as a warning to stop protests from the Mexican people. “The brutality of this was huge,” and has to be highlighted to the world, said Miguel Angel Guevara, an M.P.P. candidate at the Harvard Kennedy School. He grew up in Cuernavaca, just a few hours from the scene of the killings. “It reminds me of what the Nazis were doing,” he said. The project has a pair of YouTube videos up already, on a channel called Boston for Ayotzinapa. One is called “The World Is Watching” and features 136 area students representing 43 countries, one country for each missing student. An Instagram has also appeared, a picture of concerned students demonstrating in front of the gold-domed State House in Boston. 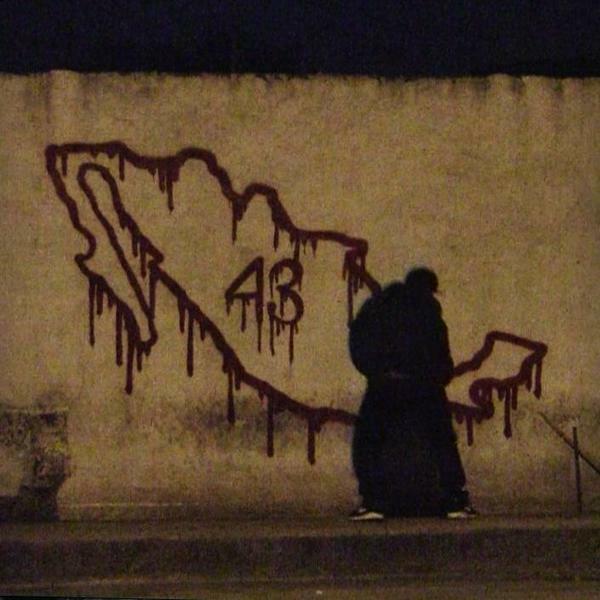 136 students of 43 countries and 5 universities (Harvard, MIT, Boston University, Berklee College of Music and Tufts) stand in solidarity with the 43 disappeared students in Mexico. Please share this video to raise awareness about the situation and help us pressure the Mexican government. Countries in solidarity: Argentina, Australia, Brazil, Bulgaria, Canada, Chile, China, Colombia, Costa Rica, Cyprus, Dominican Republic, Ecuador, France, Germany, India, Indonesia, Italy, Japan, Kenya, Kuwait, Lebanon, Malaysia, Mexico, Nepal, Netherlands, New Zealand, Nicaragua, Nigeria, Pakistan, Russia, Seychelles, Singapore, South Africa, South Korea, South Sudan, Spain, Sweden, Switzerland, Thailand, United Kingdom, United States, Uruguay, Venezuela. On October 4, the state prosecutor of Guerrero announced that twenty-eight bodies were found in five clandestine mass graves. None of them were the missing forty-three. On October 9, three more graves. None of them contained the missing forty-three. The use of the passive tense on the part of government officials and in news reports is endemic. Graves were discovered. Massacres were committed. But in this case, a grassroots community organization, the Unión de Pueblos y Organizaciones del Estado de Guerrero, searched for and found the burial sites. By October 16, the number of known clandestine graves in the state of Guerrero had risen to nineteen. Still none of them held the forty-three. The sixth was empty. 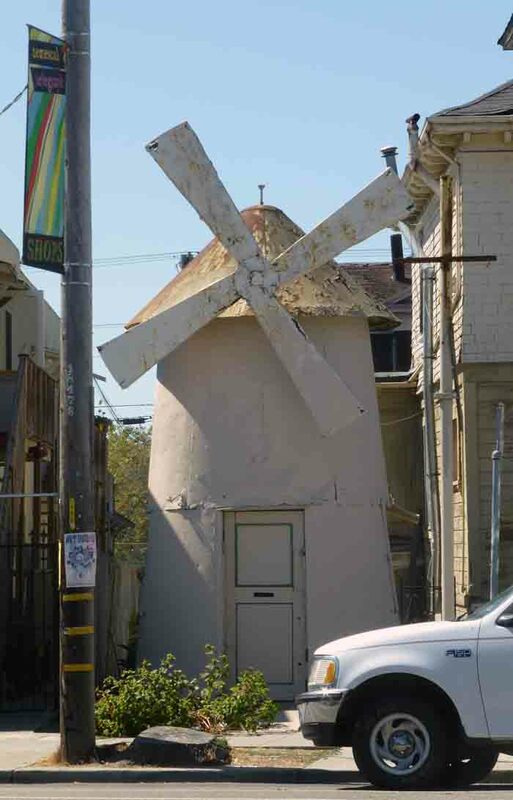 It was “new and seemed ready for use,” said a spokesperson for the Unión. The story of 43 students that were kidnapped in Iguala, Mexico — all of whom are now presumed dead — has gripped the country for weeks. But it is just one of many stories of grieving families, outrage and mass graves filled with dozens of bodies, many badly burned. Mexico’s wave of violence continues, making headlines worldwide. Identifying the victims — to help the police and bring closure to the parents — would be a near-impossible task were it not for forensic scientists. One group that is providing invaluable help is based some 7,000 kilometres away: the Argentine Forensic Anthropology Team (EAAF). Set up to investigate the crimes of Argentina’s military dictatorship of the 1970s, the team has been identifying skeletal remains of “disappeared people”, often found in unmarked graves. Since then the group has travelled to many of the world’s conflict zones, helping to identify victims of massacres in more than 50 countries, from El Salvador, Guatemala and Colombia to former Yugoslavia, the Philippines and the Democratic Republic of Congo. Demonstrators in Argentina took to the Mexican Embassy on Monday in a show of “solidarity” with the people of Mexico over missing students,. Report by Claire Lomas. “How is it possible that in 15 hours they burned so many boys, put them in a bag and threw them into the river?” Telumbre says. Maria Telumbre knows fire. She spends her days making tortillas over hot coals, and experience tells her a small goat takes at least four hours to cook. So she doesn’t believe the government’s explanation that gang thugs incinerated her son and 42 other missing college students in a giant funeral pyre in less than a day, leaving almost nothing to identify them. The discovery of charred teeth and bone fragments offers Telumbre no more proof of her son’s death than did the many graves unearthed in Guerrero state since the students disappeared Sept. 26. She simply does not accept that the ashes belong to her 19-year-old son and his classmates. For Telumbre, her husband, Clemente Rodriguez, and other parents, the official account is merely another lie from an administration that wants to put this mess behind it. Their demands for the truth are fuelling national outrage at the government’s inability to confront the brutality of drug cartels, corruption and impunity. Commanders of the Zapatista Army of National Liberation (EZLN) and members of the Good Government Council (JBG) agreed with Ayotzinapa Normal School [teachers college] students and parents traveling with the Daniel Solís Gallardo Brigade [part of National Information Caravan] to develop together a national movement for demanding the safe return of Mexico’s disappeared and those extra-judicially executed by the State. On Saturday morning at the Caracol of Oventic in the Municipality of San Andrés Larráinzar, a four-hour meeting took place with the Zapatistas. Open to all Zapatista supporters, the meeting was attended by Subcomandante Moisés and Comandante Tacho. Some images captured on a stroll with younger daughter. 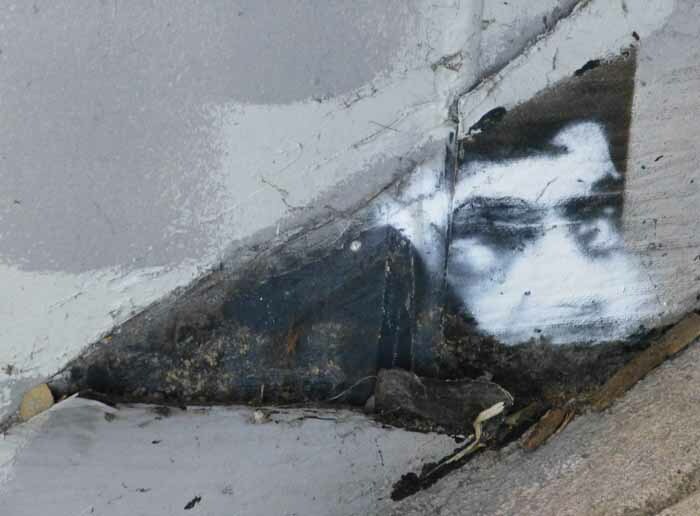 . .
First, a face spotted by Samantha on the base of a freeway support. 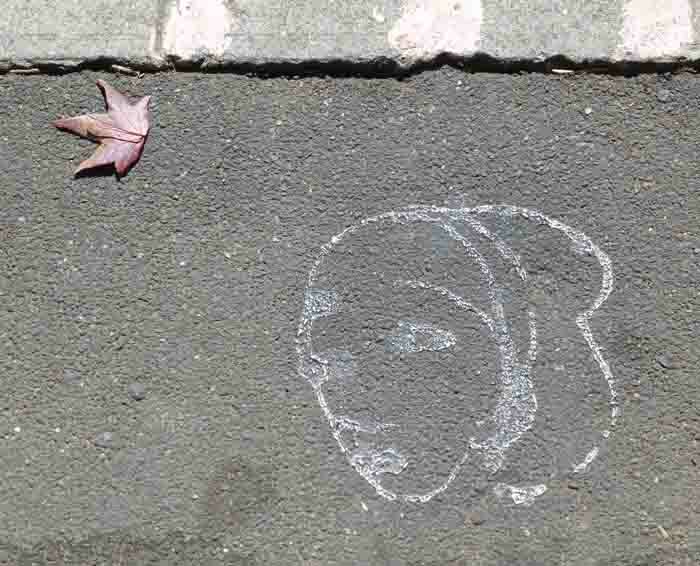 . .
Another face, spotted on the asphalt beneath out feet. . .
Another sidewalk vignette. . . 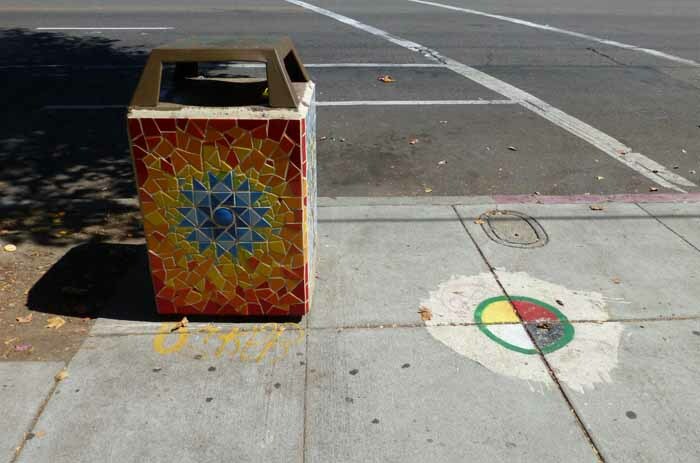 The ghost of a long-vacant neighborhood snack stand. 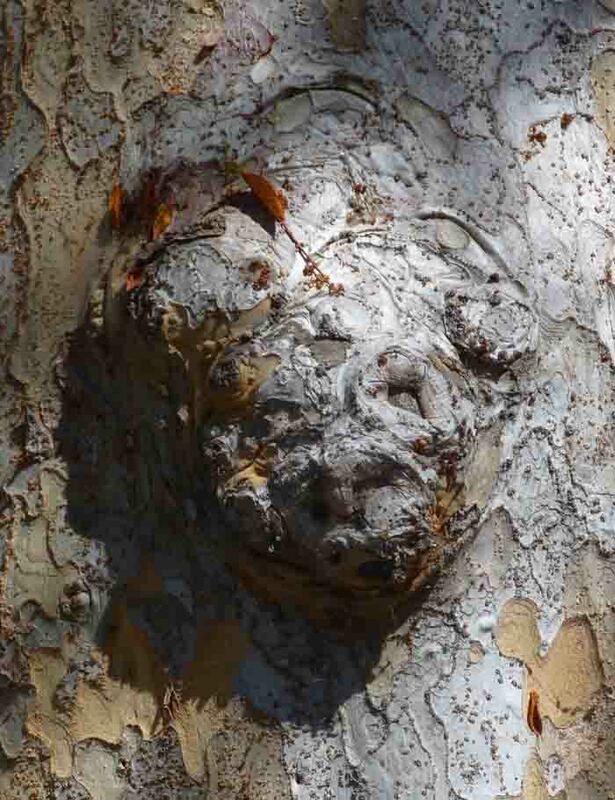 . .
And light and shadow at play on a street tree bole. . .